Ella Stewart Care stands behind a 4-point guarantee of care that we use to support our mission of providing quality in home care through superior execution of our services. We thoroughly pre-screen, interview, reference check, and criminal background check every caregiver to make certain our employees are of the highest character and integrity. We hire only caring and compassionate people. And we provide them with a thorough orientation and continuous training to make sure they have the skills needed to provide you with the best possible personal assistance, companionship, or home health care. Our caregivers are employees - not independent contractors. Therefore, they are covered by Worker's Compensation Insurance and Unemployment Insurance. We deduct the FICA withholding and the income tax withholding. All our caregivers are bonded and insured to protect you and to give you greater peace of mind. Count on our caregivers to be there for scheduled visits. We use a combination of GPS and Telephony system in the Baltimore, Maryland region so that our employees can clock-in and clock-out when arriving and leaving your home. This system alerts us within minutes if a caregiver is late. That allows us to communicate with you and find a suitable replacement if necessary. 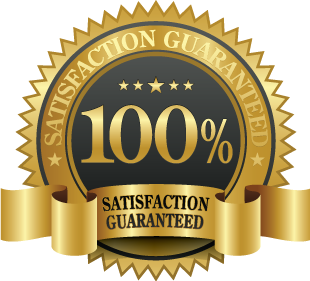 Our 100% Satisfaction Guarantee means that we honor our contractual commitment with you to provide quality home care through superior execution of our services. We're certainly not perfect, but you will always find us determined to remedy conflicts and find solutions in a timely manor. Your loved one, and your peace of mind, is what we're working for. ﻿﻿Ready to find the care solution that is right for your loved one?